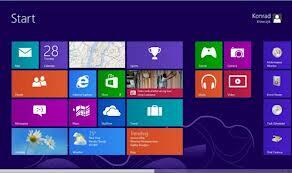 There is a new feature in Microsoft windows 8 that your open apps are remain open at last your computer shutdown. In Microsoft windows 8 they get rid of the file menu, close, minimize, and resize choices and give another feature which is app command. The bar of app command is place at the bottom of the screen and you can select it with right click. In Microsoft windows 8 there is a option to open the app but they don’t provide you the choice to close the app if you want to close app then we have some ways to do this. Follow the instructions below. · Shift the mouse to the extremely peak of the app that must transform the mouse arrow in a hand, then click and drag or else take that app to the underneath of the display. just the once you permit leave of the app it will close up. · There is also a simple option that you can press Alt+F4 to close the app or any other program you want. · WHEN YOU CLICK WINDOWS BUTTON WITH Tab then app will appear click on the app and close it.